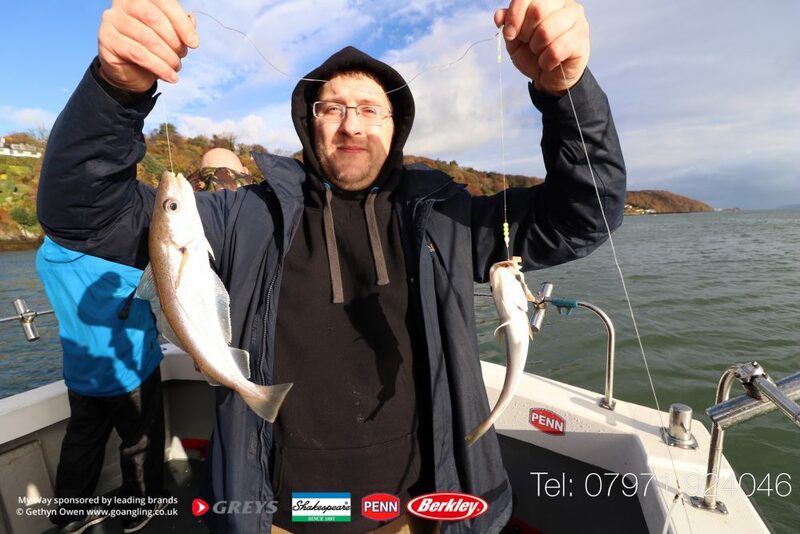 Fish and laughs afloat on the Menai Straits today with a good mixed bag of fish being caught. 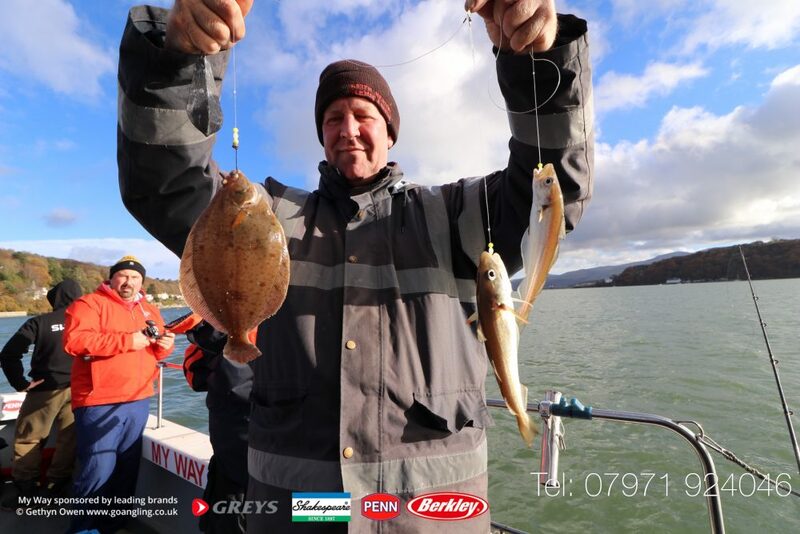 Whiting the making up the bulk, plenty of double and triple hook ups with a few nice keepers. 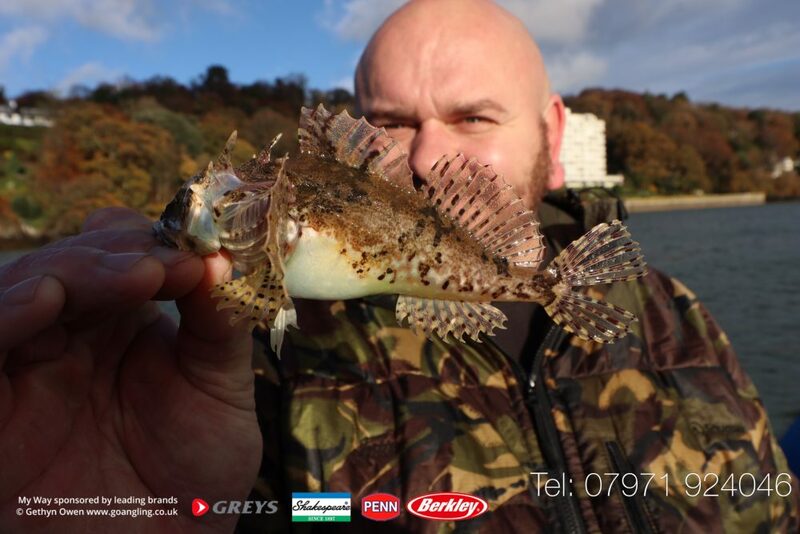 Mixed in also we had dogs, dabs, pout, poor cod and a monstrous long spined sea scorpion for Craig.